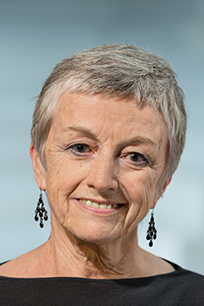 Doreen Massey: Right, well one of the things in the sense was anger: I got really annoyed with the rest of the social sciences, and indeed with philosophers, paying so much attention to time. And space became a kind of residual dimension: it’s always ‘time and space’. So time is the dimension of change, and of dynamism, and of the life we live, and all the rest of it; and space became the dimension that wasn’t all of that. And a lot of us, I think, implicitly think of space as a kind of flat surface out there -we ‘cross space’ – and space is therefore devoid of temporality: it is without time, it is without dynamism, it is a kind of flat, inert given. Foucault wrote in the later part of his life that, yes, he thought we’d often been thinking of space like that and that was wrong, and I agree with Foucault in that later moment.A lot of what I’ve been trying to do over the all too many years when I’ve been writing about space is to bring space alive, to dynamize it and to make it relevant, to emphasize how important space is in the lives in which we live, and in the organization of the societies in which we live. Most obviously I would say that space is not a flat surface across which we walk; Raymond Williams talked about this: you’re taking a train across the landscape – you’re not traveling across a dead flat surface that is space: you’re cutting across a myriad of stories going on. So instead of space being this flat surface it’s like a pincushion of a million stories: if you stop at any point in that walk there will be a house with a story. Raymond Williams spoke about looking out of a train window and there was this woman clearing the grate, and he speeds on and forever in his mind she’s stuck in that moment. But actually, of course, that woman is in the middle of doing something, it’s a story. Maybe she’s going away tomorrow to see her sister, but really before she goes she really must clean that grate out because she’s been meaning to do it for ages. So I want to see space as a cut through the myriad stories in which we are all living at any one moment. Space and time become intimately connected. Nigel Warburton:So would it be fair to summarize that as you are saying that space isn’t about physical locality so much as relations between human beings? Nigel Warburton:Could you give an example of that? Nigel Warburton:Now you’ve given a description of power relations in the city, but how is that political? Nigel Warburton:Occupy even by its name was about space as well, it’s really interesting the way they chose the word, to occupy space. Nigel Warburton:Do you think geography as a subject can be a catalyst for this kind of activity? Nigel Warburton:Geography is usually thought of as one of the social sciences, I wonder if you think of yourself as a social scientist?